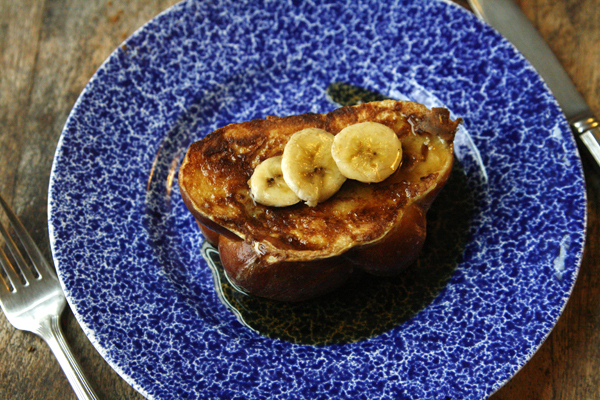 Thick slices of challah bread are stuffed with tender, sweet bananas in this recipe for Banana Stuffed French Toast. Last night, I checked the weather for the next 10 days. Falling temperatures. Snow featuring — albeit in small quantities — in nearly every day. Ice warnings. Winter has arrived here in Maine. We aren’t quite to the point where our landscape becomes a solid white for the duration of these cold months yet, but that time is coming. I’ve already dug out my thickest gloves — the turquoise fleece-lined ones with a flip-back mitten top. And, in some ways, we can’t wait. The kids are excited to build snowmen and talk me into making snow ice cream again. Paige has new lavender and white snow gear she’s psyched to try out. Will can’t wait to sled again. Our days are short here — the sun doesn’t fully rise until after Will leaves for school, and it begins his descent as he arrives home in the afternoon. My afternoon meeting at work increasing feels like an evening meeting, though the time hasn’t changed. And with winter comes the desire to celebrate joy everyday — we need that little extra boost when there’s so little light — with delicious, fun breakfasts like this one: Banana Stuffed French Toast. 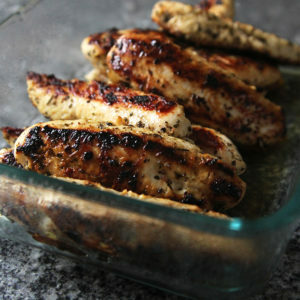 This recipe is one of the oldest ones on my site. I first posted it in June 2006, then I revised it in May 2009. Now, seven years later, I finally have it right where I want it. 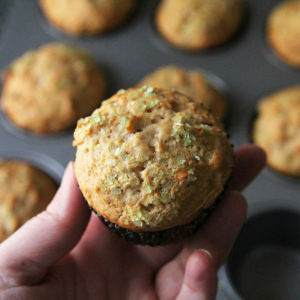 Originally, the recipe was adapted from the now-defunct Weekend Magazine’s July/August 2006 issue. That was an awesome magazine — I loved its devotion to weekend living. 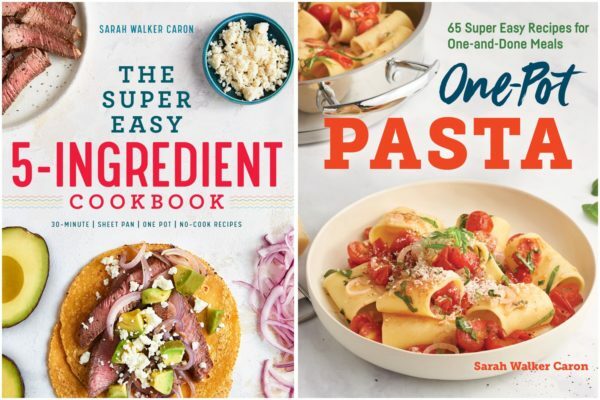 It was filled with recipes and ideas for having fun when you had time to lazy about (which, let’s face it, is definitely not an everyday thing). 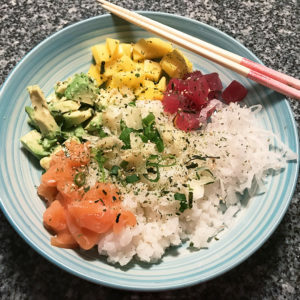 As for this recipe, I’ve just updated it again … After all these years, I focus on wasting less and enjoying cooking more, which these changes accomplish. There’s less eggs and milk (the original called for too much!). Plus I eliminated some unnecessary ingredients. But, ultimately, there’s more to share — you’ll use a whole loaf of challah bread. 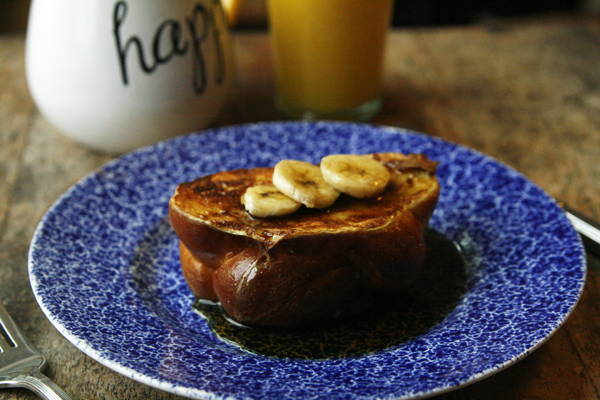 The tender French toast stuffed with sweet bananas and baked to perfection. 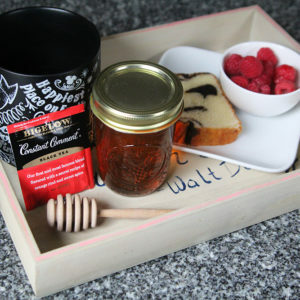 It’s wonderful served with fresh maple syrup. To make this, you start by slicing the challah, and stuffing a cavity (that you slice in there) with bananas. Then you dip it in a sweetened egg mixture and fry it. Finally, you bake it to finish it up. 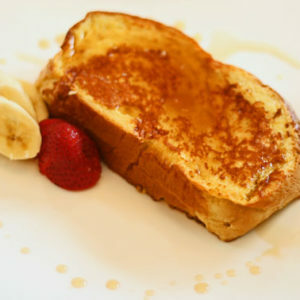 The French toast is a delightful (and filling!) treat. Make this recipe when you have a little time in the morning — it takes about 35 minutes to make, but is so worth the effort. Perfect for weekends, wouldn’t you say? I originally made this recipe eons ago, adapting it from a recipe in the now defunct Weekend Magazine's July/August 2006 issue. Since then, I have tinkered with it more, changed the amount of eggs, milk and other ingredients, removed some and eliminated a flavored syrup that it used to call for. The result is this recipe, which takes less time to make and still delivers a wonderfully satisfying result. Combine the syrup ingredients in a small saucepan and simmer over medium heat for five minutes. Remove from heat and keep warm. 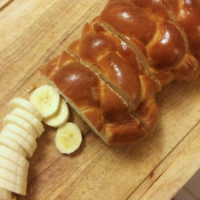 Slice a pocket in the challah bread and slide 4-6 banana slices in each piece. Using a large mixing bowl, combine the eggs, milk, sugar, salt, nutmeg and vanilla extract, whisking until well combined. 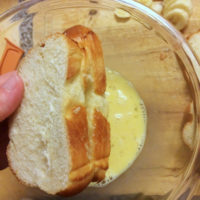 Place each slice of banana-stuffed challah in the batter, turning over to fully coat. In a preheated and greased large skillet (I used butter), cook each slice of bread until golden on both sides (about 2 minutes per side). Place browned slices on a baking sheet that's been lined with nonstick foil and cook in the oven for about 8 minutes, until cooked throughout. Drizzle with syrup and serve immediately. This was delicious, Billy made this for me for Mother’s Day. He used texas toast bread instead though, it seemed to work well! 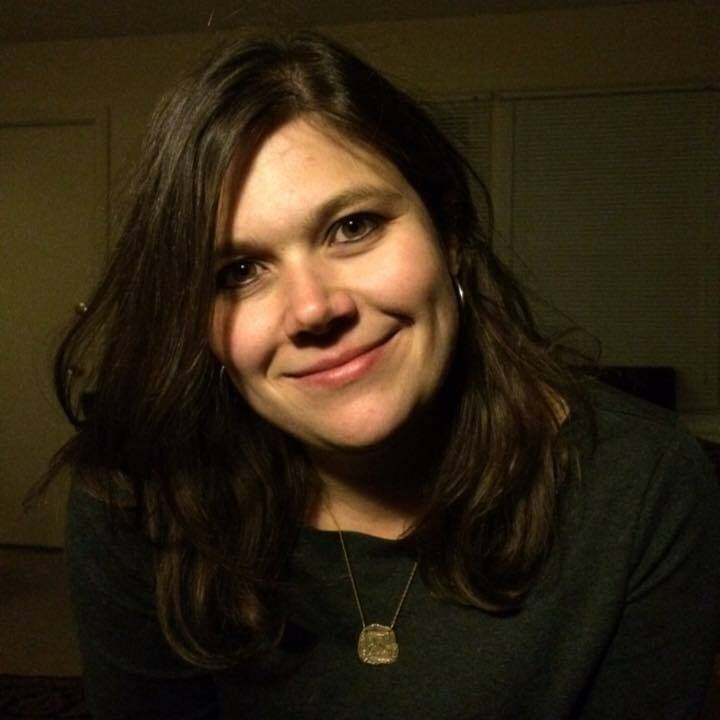 Josephine, I am so glad you liked it! Now, I want to make this again . . . and hopefully get a better photo! This looks delicious! 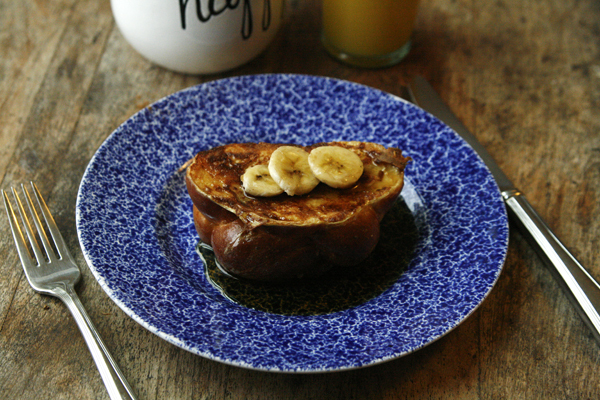 I love nothing more french toast and to stuff bananas in it sounds even better! Can’t wait to try! 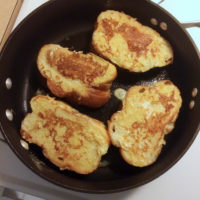 Leftover challah is always made into French toast in my house!